Tens of thousands of Spanish citizens from remote rural areas took to the streets of Madrid this Sunday to protest against depopulation and the lack of infrastructure in their regions. The movement, initiated by 85 grassroots organisations, has come to be known as the “revolt of empty Spain”. Turnout estimates ranged from 50,000 demonstrators, according to authorities, to 100,000 according to organizers. The municipality of Molina de Aragón in the Guadalajara province (northwestern Spain) has a population density inferior to Siberia's. With 1.63 inhabitants per kilometre, it is the area that suffers the most from depopulation in a country with 16 provinces that feature among the least densely populated in Europe. 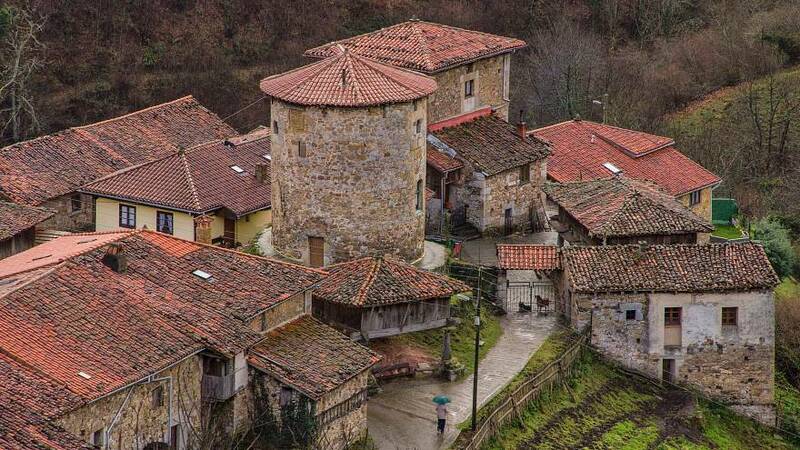 The rural population of Spain increased between 2000 and 2010, but since then it has declined to approximately 9,17 million people, according to Statista. The issue is so acutely reflected on the map that 53% of the territory is inhabited by only 5% of the population, according to a study by the Research Centre on Depopulation and Development of Rural Areas (CEDDAR). The affected territories are usually “economically depressed areas that are going backwards or are less dynamic in contrast to other parts of the country,” the report said. Although the protest movement is apolitical, the rural vote will be key in the national elections on April 28. The Spanish electoral system is based in the d’Hondt method, which favours the big parties and the less populated areas. 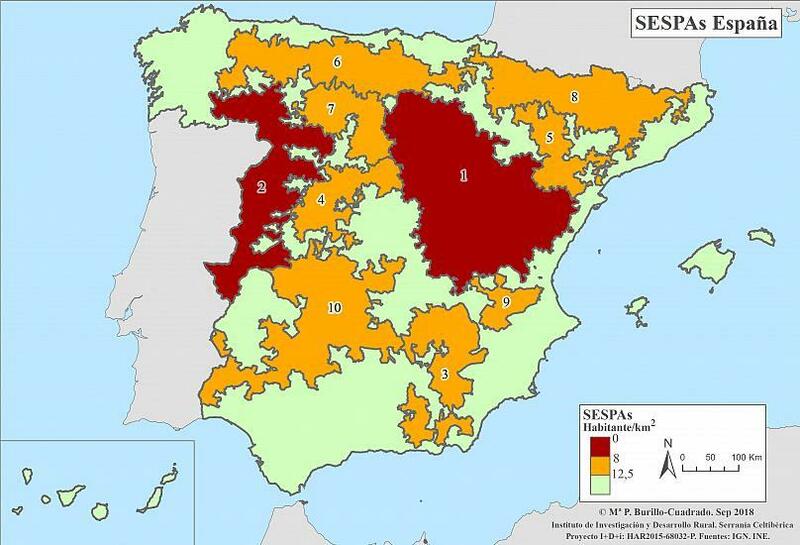 The term “empty Spain” was coined by the author Sergio del Molino in an essay where he defines it as Spain’s interior — an absolutely depopulated area that heavily contrasts with the urban areas. “There is a lack of public services and little attention from the administration, there is also an important digital divide,” said Juan Manuel Polentinos Castellanos from the Confederation of Rural Development Centres (COCEDER). "There are many problems that policies are not solving but rather deepening, hence the revolt of this 'empty Spain' that seeks to revitalise rural areas with opportunities and allow people who want to live there to do so in the same conditions (as in big cities)," he told Euronews. Polentinos said these territories need public services, taxes and specific legislation, different from what exists in cities: “It cannot be the same for Madrid as for a town of 100 inhabitants,” he said. If these requirements are met, Polentinos believes that many people will move to rural areas. COCEDER launched an initiative in 2018 to attract people to depopulated areas. Its website volveralpueblo.org advertises available homes, lands, and business to facilitate the path for those who wish to undertake a project in a rural area. The conditions? None in particular, said Polentinos, only motivation and the commitment to change your life. The demand is there, assured Polentinos. In the last 20 years, more than a 100 families have shown interest in the advertised houses, he said. "The first reaction when you go to villages in Zamora (northwest Spain) is: "Where are the young people?" but also "Where are the women?" said journalist Ana Valiente who has researched rural Zamora — often called "the southern Lappland" — as part of the European project on depopulation "Empty Europe". "The lack of gender policies has resulted in women leaving their towns for bigger cities where they can find better opportunities but not necessarily better quality of life or more freedom." "We try to retain young people. Everyone thinks that no new businesses should open because in five years there won't be anyone left in the town. That's the current mentality," said Sofi, one of those interviewed for the project. For many of these women, the only option is self-employment or taking over a family business," the journalist said.